We received our first delivery on the 21st November. 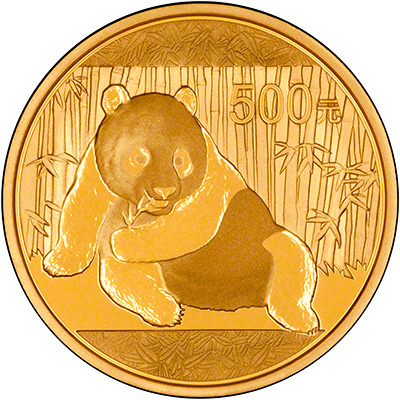 Please be aware the 1/20oz pandas have a slight, round, discolouration on the centre-left part of the temple, on the obverse. This has occurred during the production process, and does not effect the value of the bullion coin. The design on the panda coins changes most years. This makes the coins more attractive to collectors and investors alike. 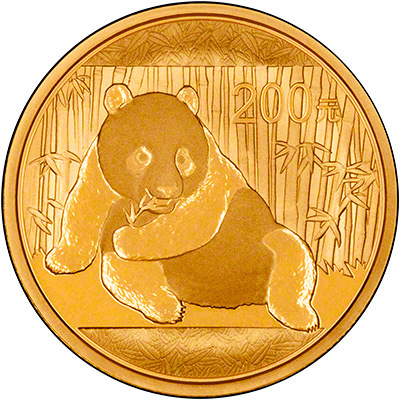 The 2015 coin shows a panda eating some bamboo on the reverse. 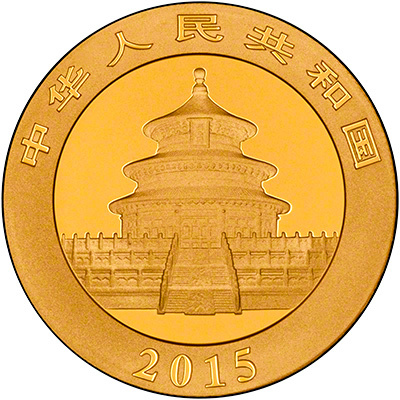 The obverse shows the Temple of Heaven. Weight No Longer Stamped on Coin? Although the coins will be the same weight and fineness as in previous years, the 2015 coins will no longer have the weight stamped on the reverse. This is because the Chinese Mint will be marketing the coins in grams and kilos within China, and ounces for international markets. This change could mean that the coins are eligible for Goods and Service Tax if being imported into Australia.